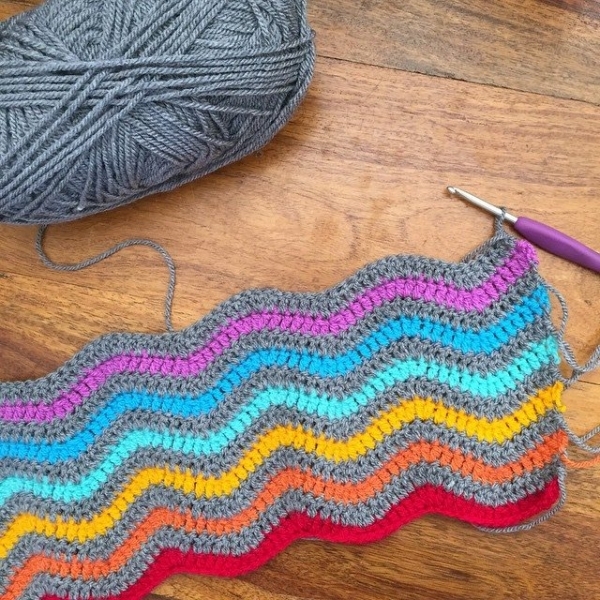 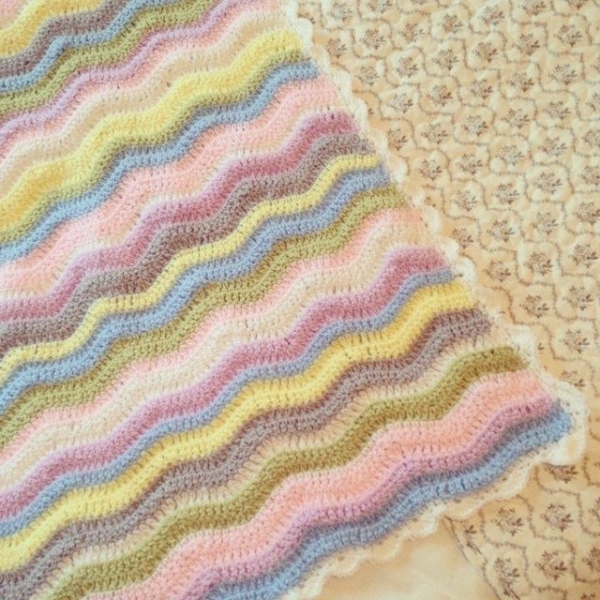 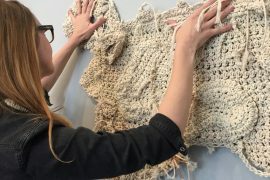 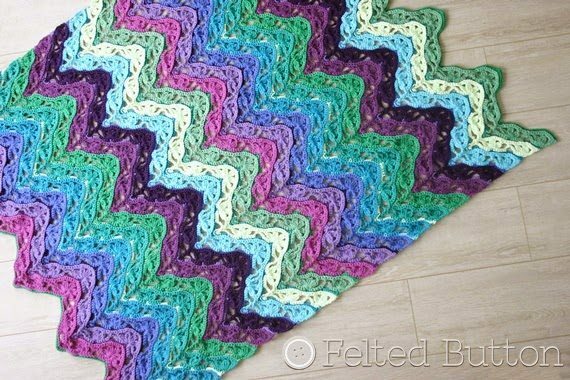 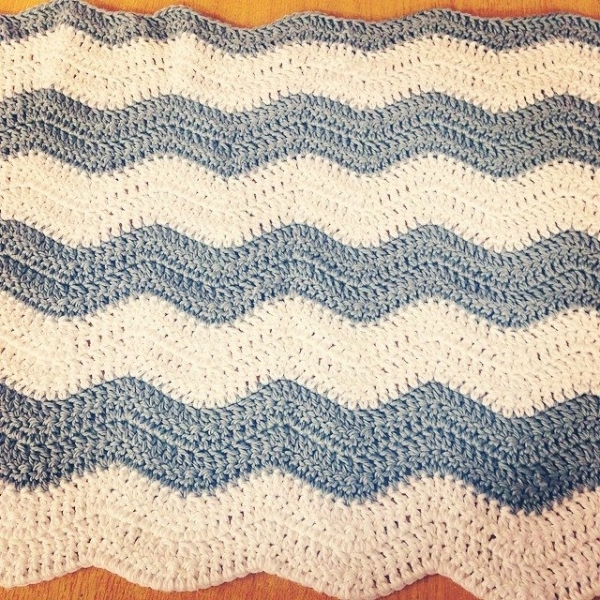 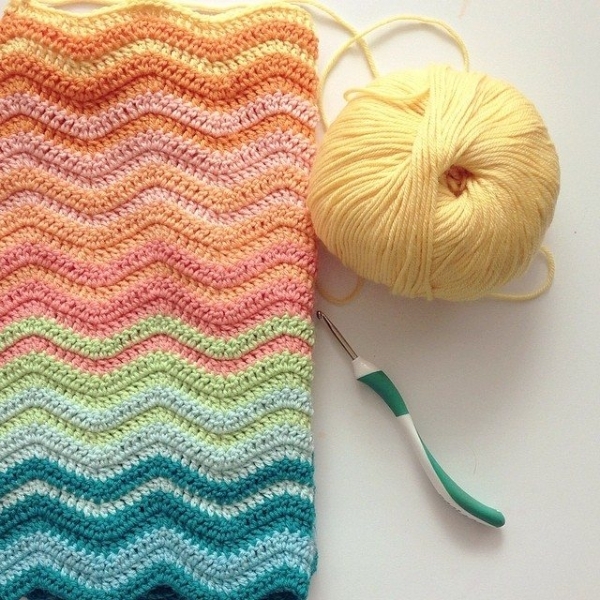 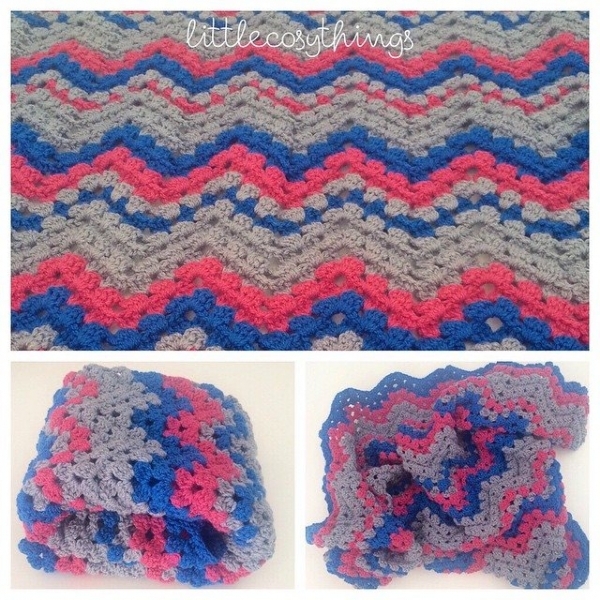 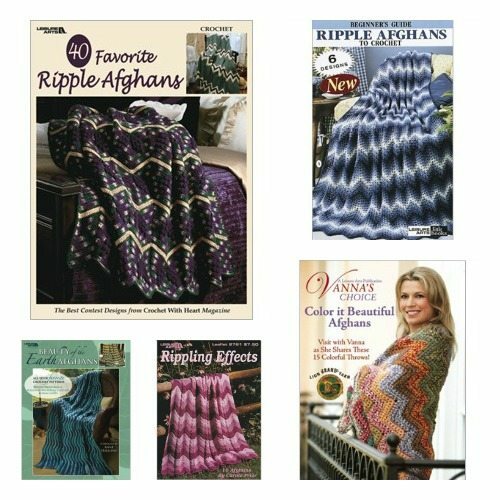 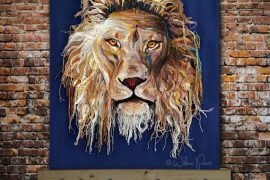 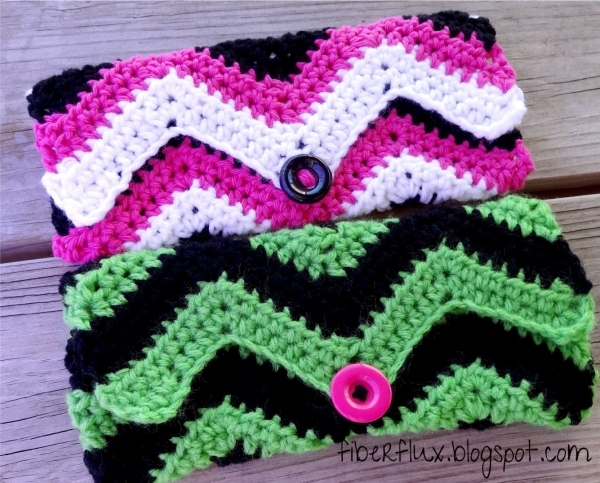 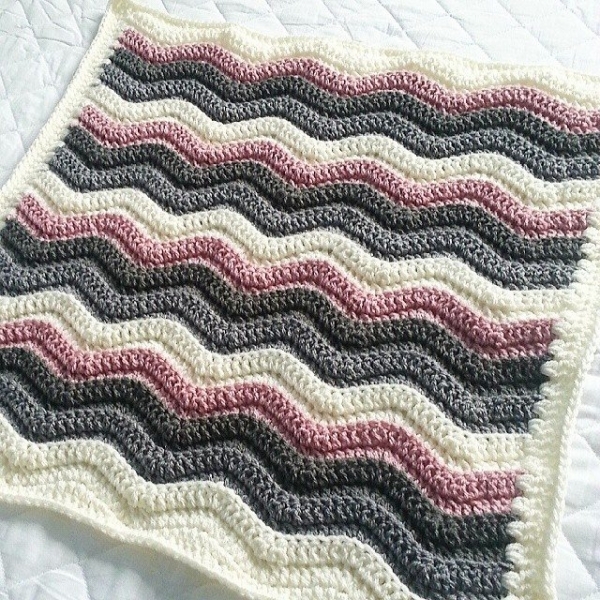 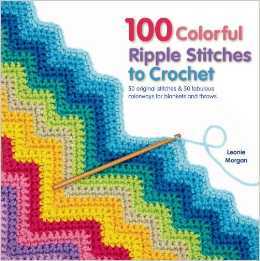 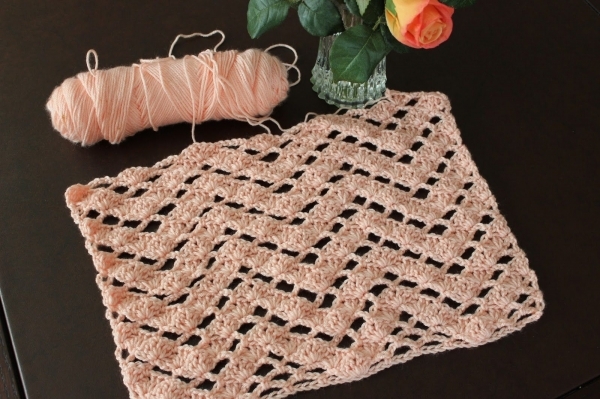 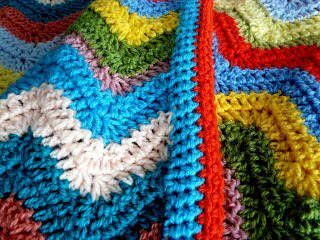 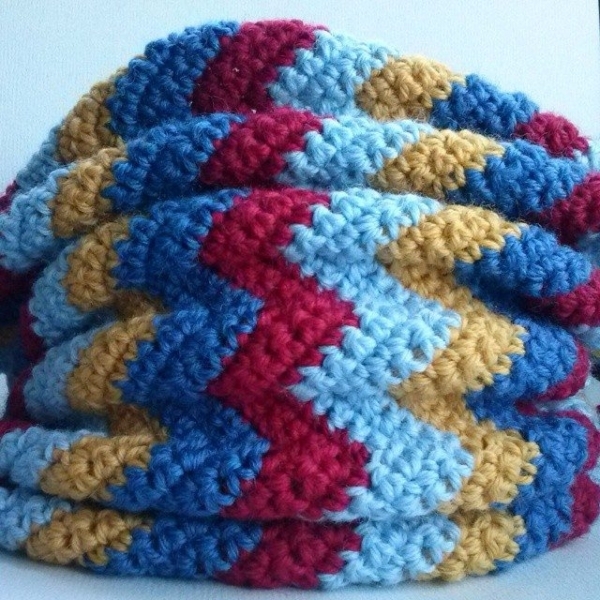 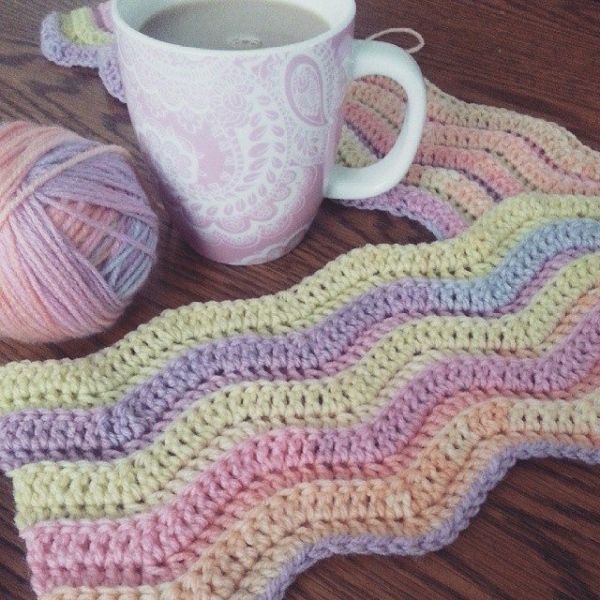 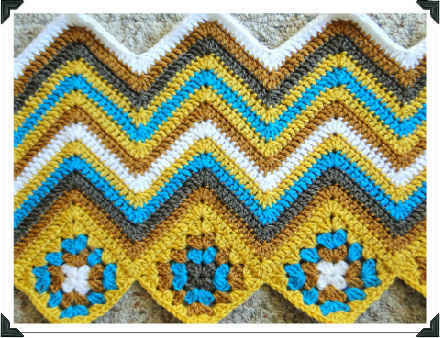 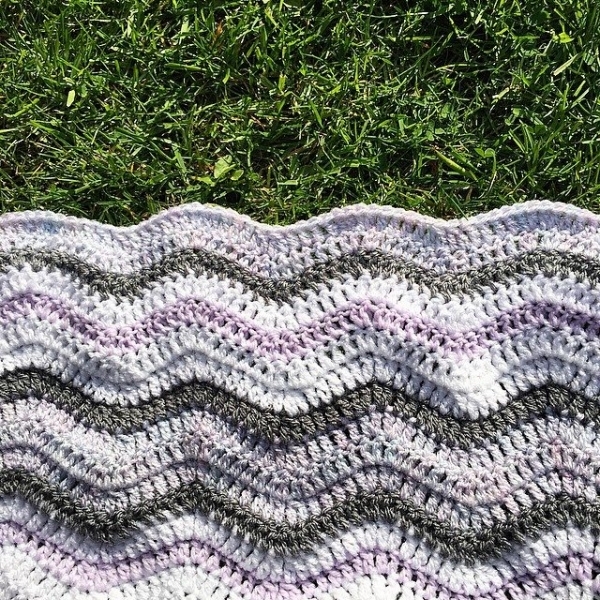 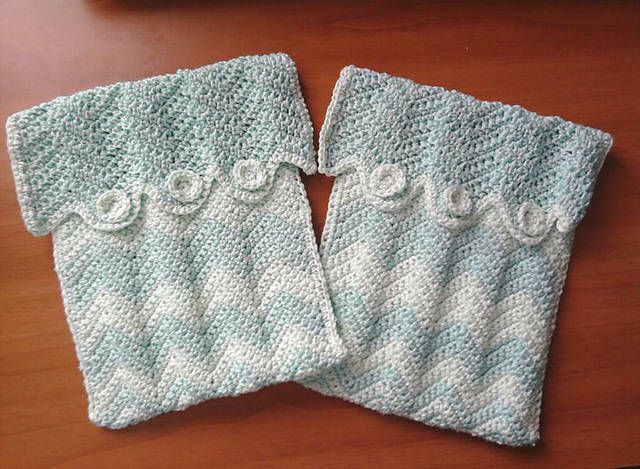 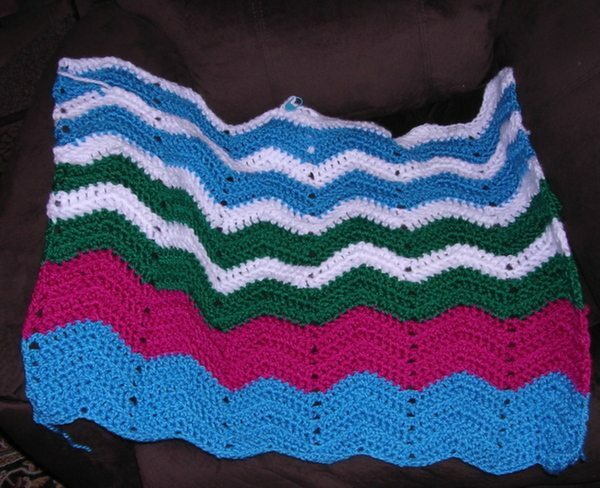 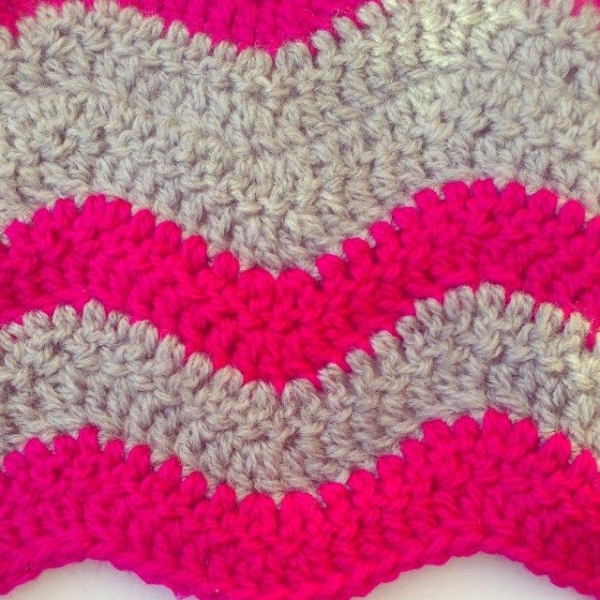 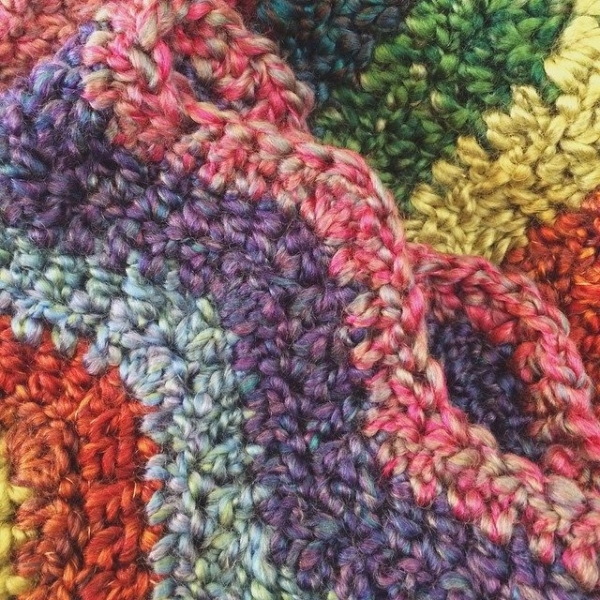 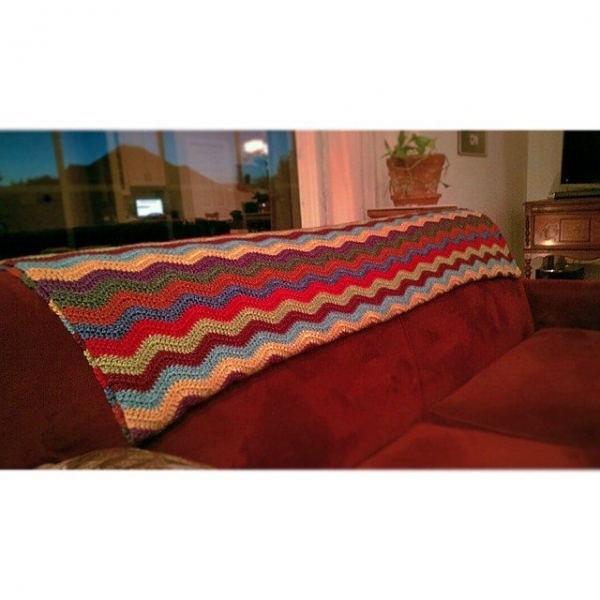 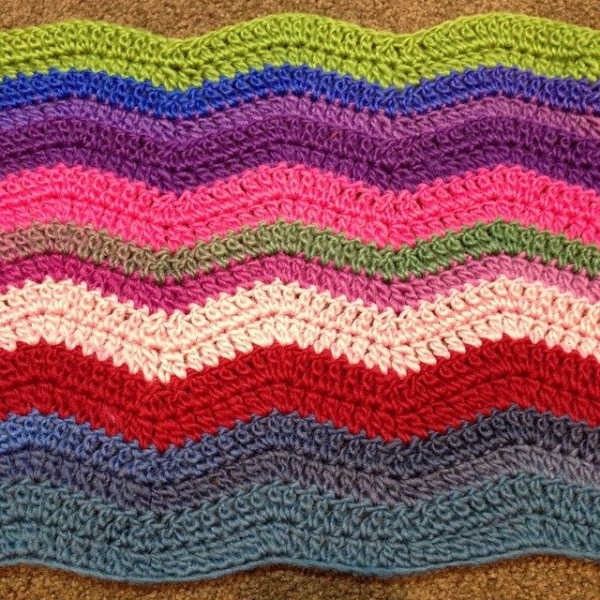 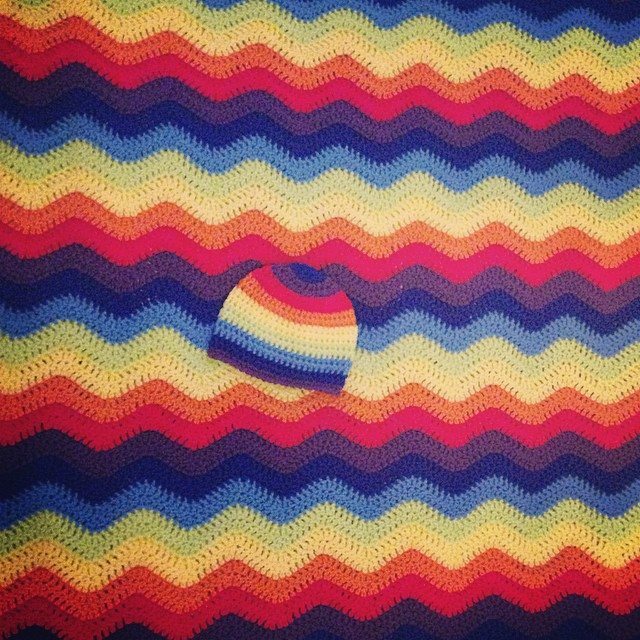 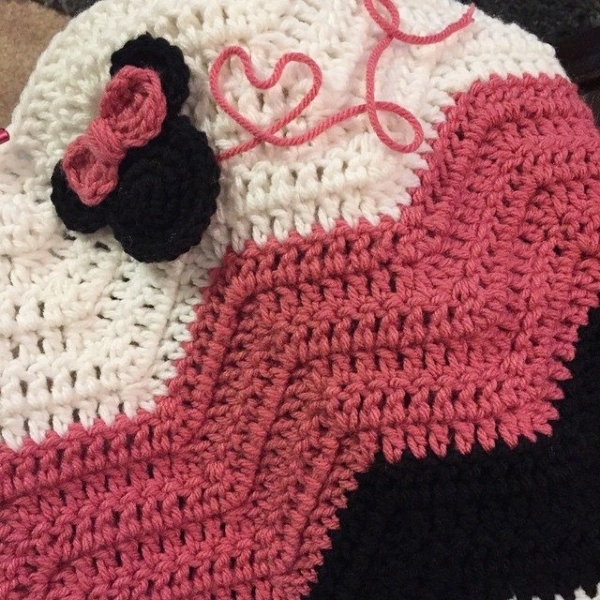 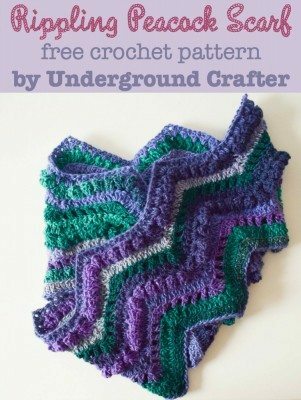 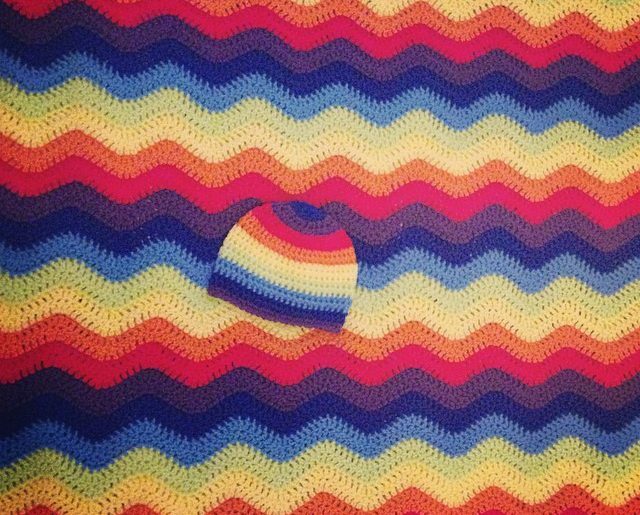 Crochet chevrons (also known as ripples or waves) are a popular, beautiful, simple crochet pattern that can be used to make anything from a headband to a blanket. 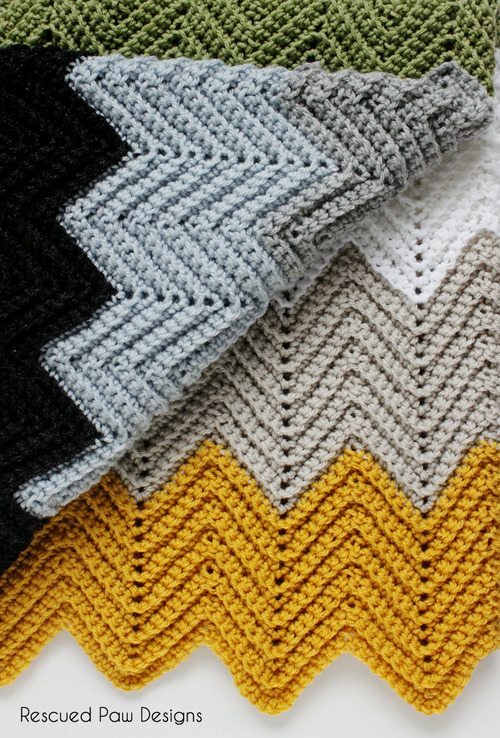 I love chevrons and want to encourage you to try them if you’ve never used them before. 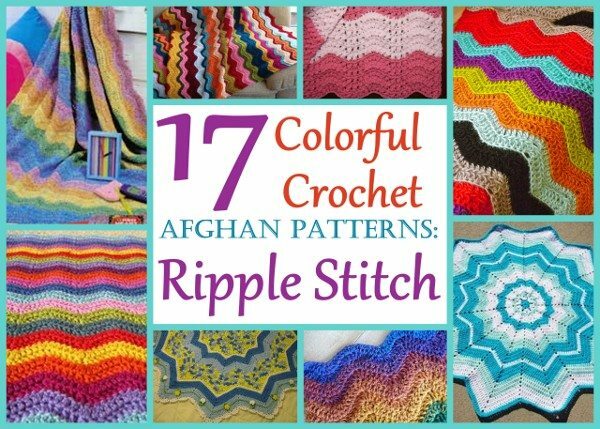 This roundup is intended to inspire you! 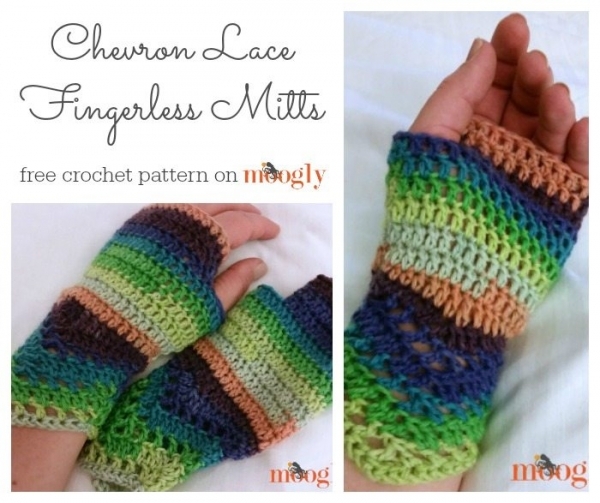 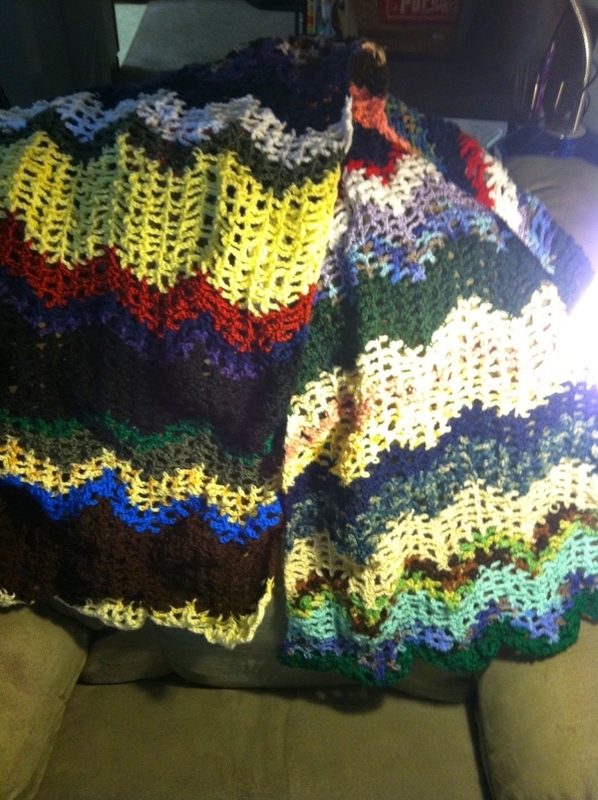 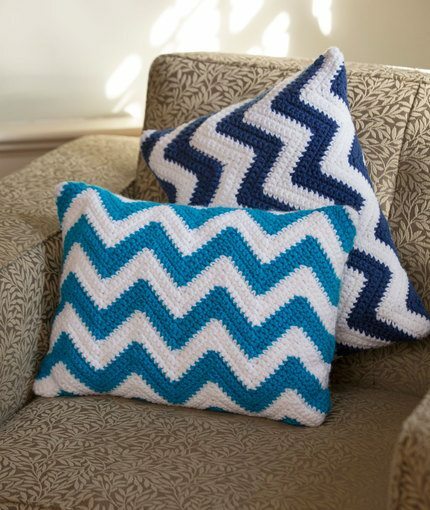 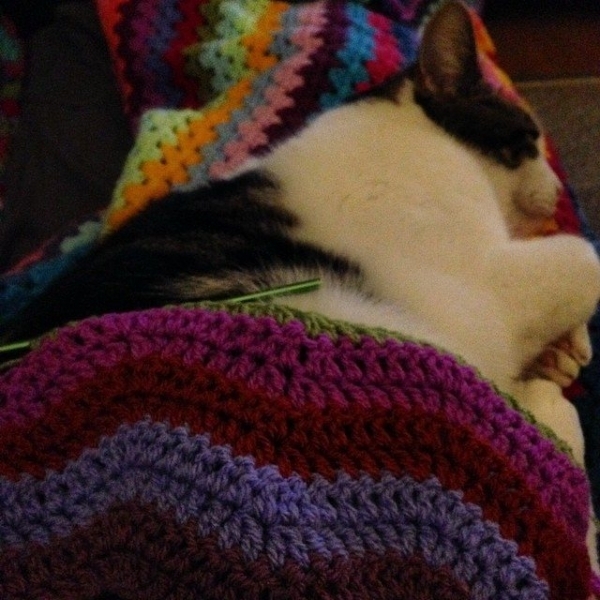 Both of these are chevron-print vintage crochet patterns that are sold by people on Etsy. 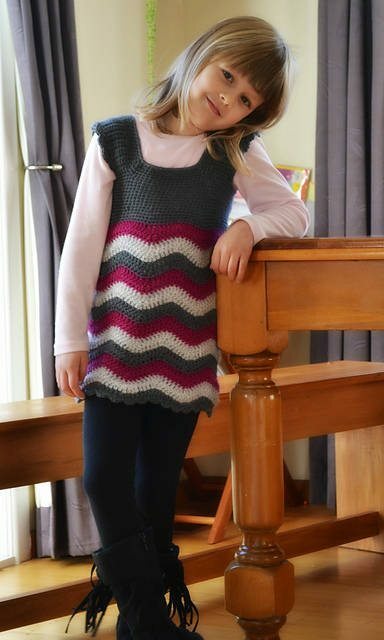 (The maxi by cemetarian and the mini by HeirloomPatterns.) 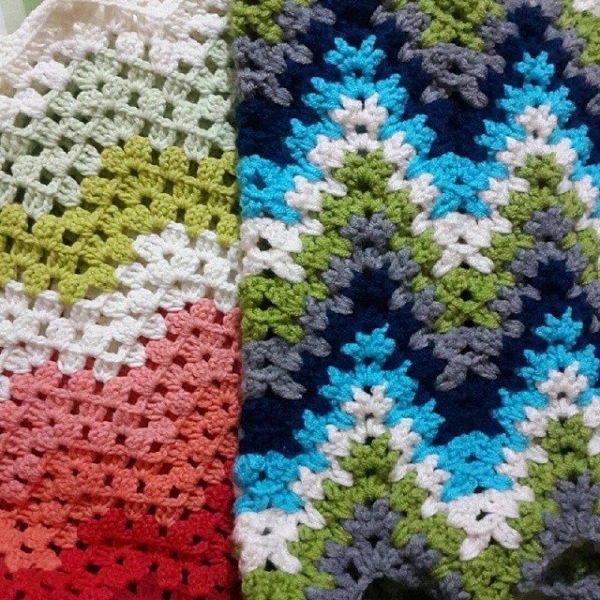 Even though they have different color stories, they feel like twins to me. 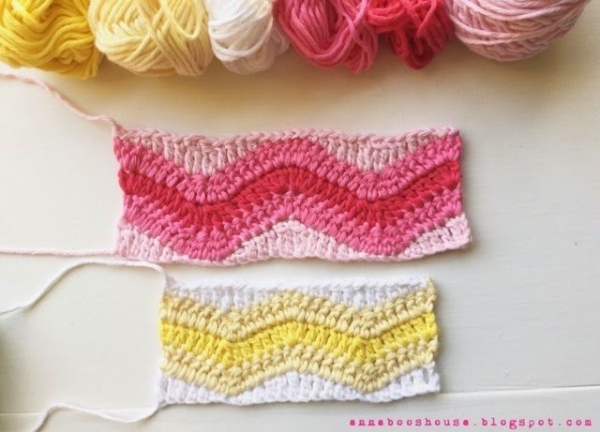 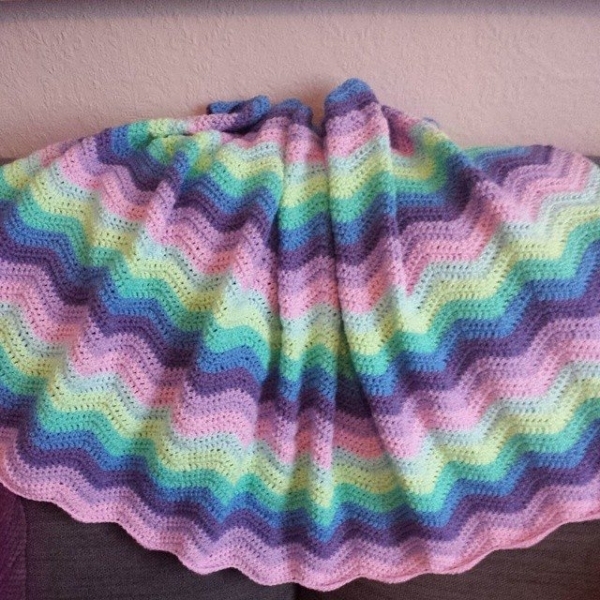 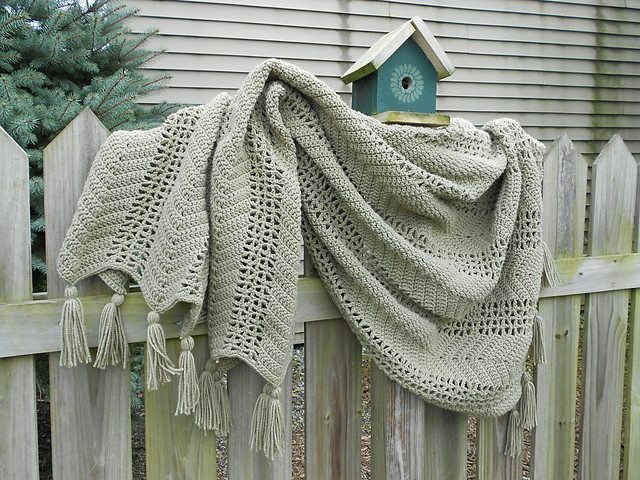 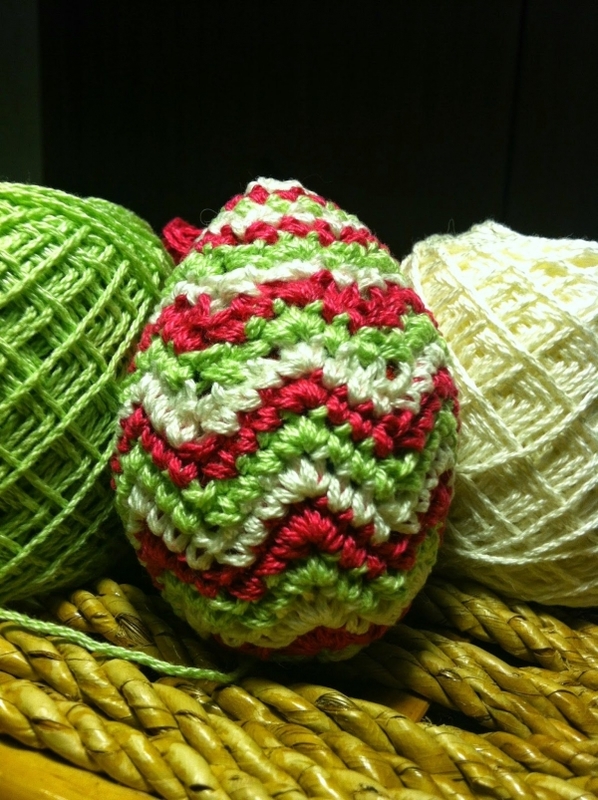 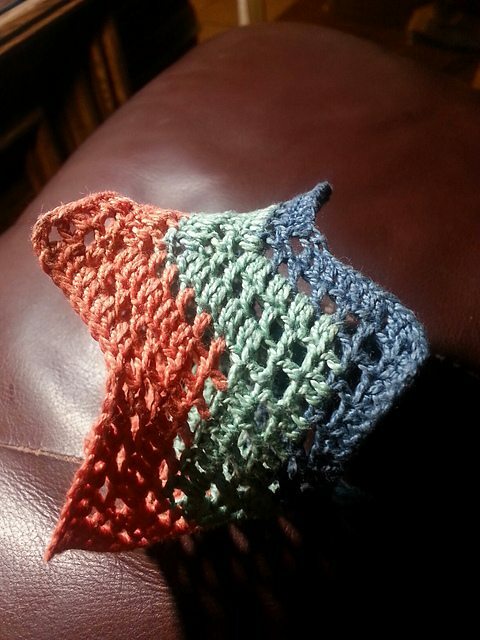 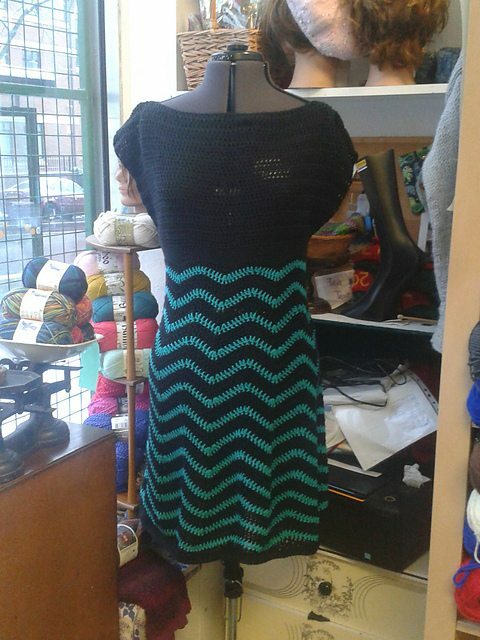 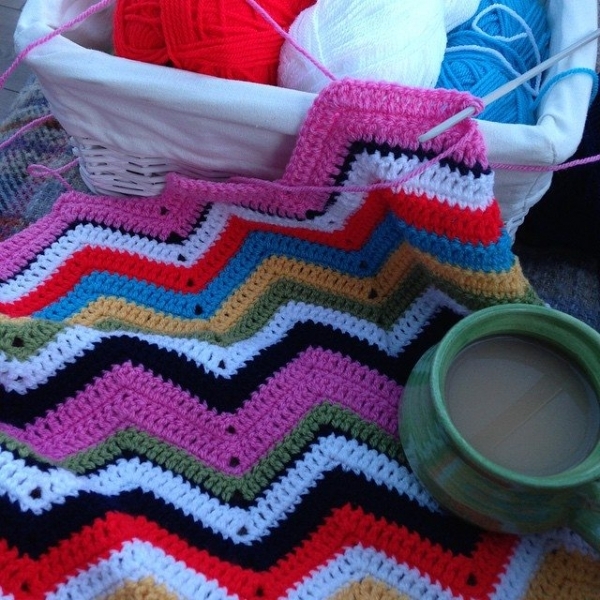 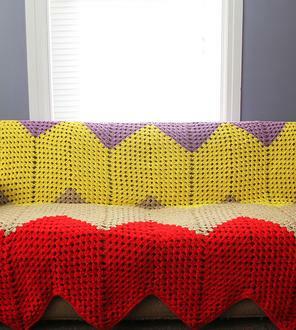 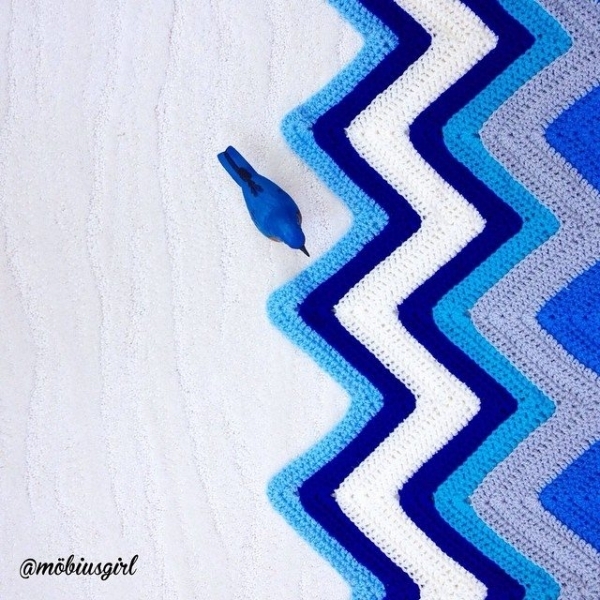 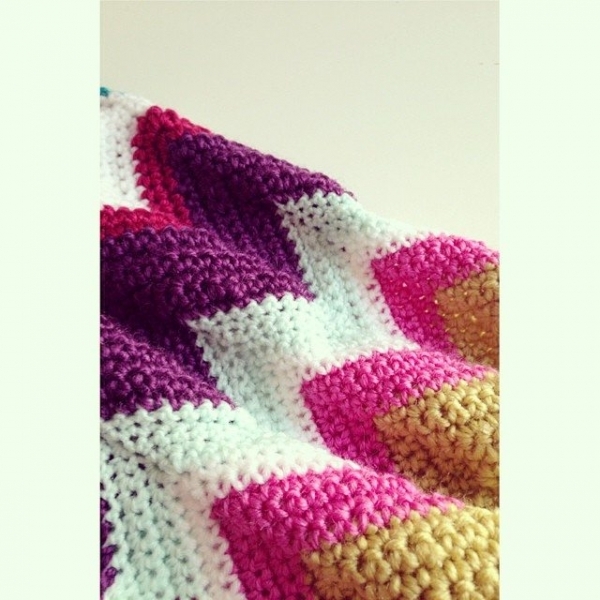 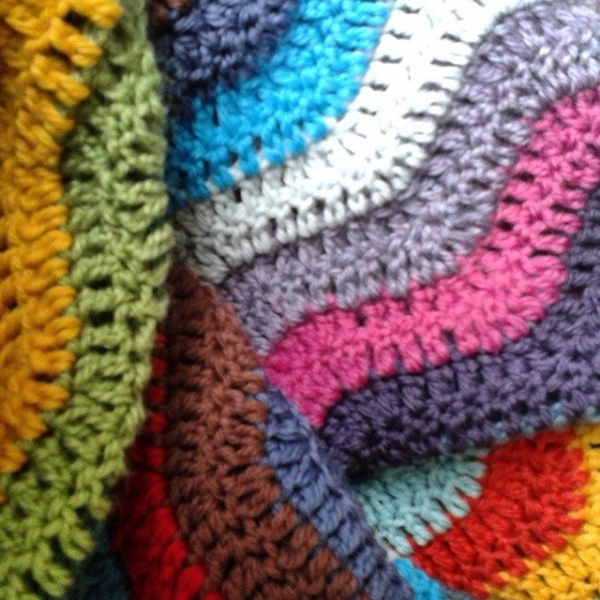 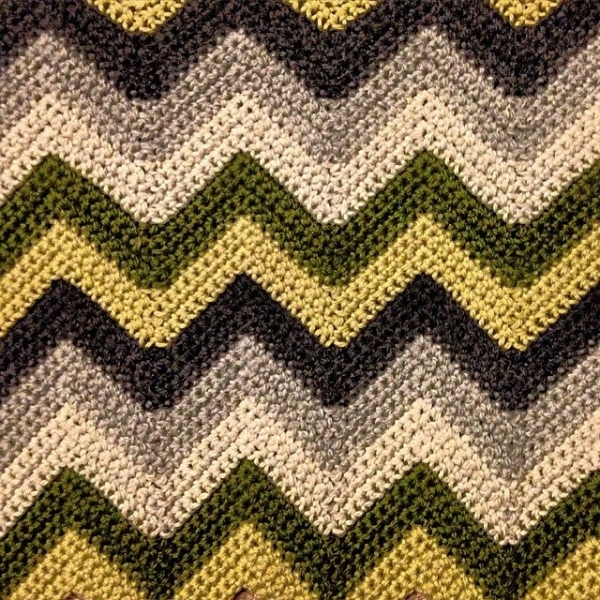 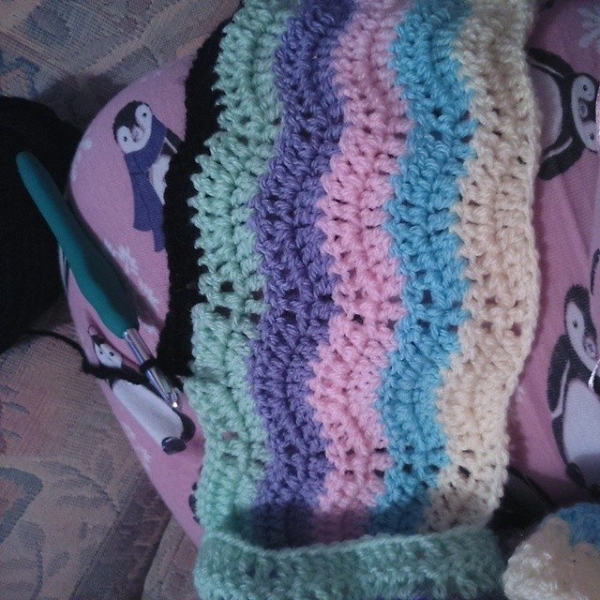 Here are more photos to inspire you in your color choices and chevron crochet. 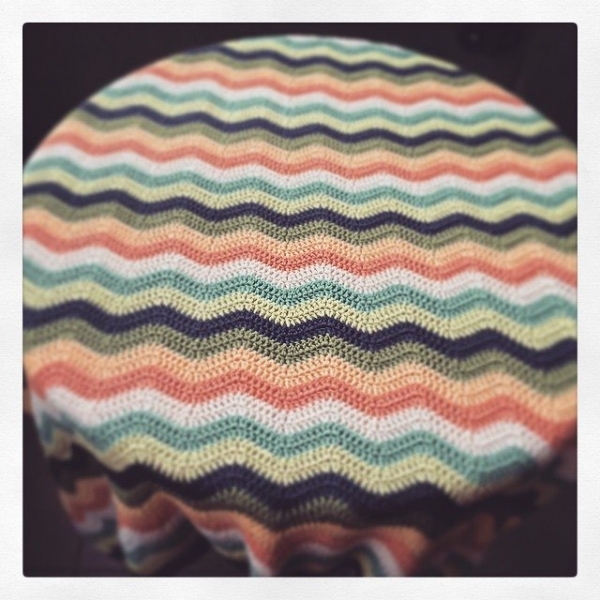 They come from Instagram submissions unless otherwise noted.